A new EU-funded project has been launched to help organic pig and poultry farms achieve the goal of 100 percent use of local organic feed. Research partners from 11 countries throughout Europe visited the Organic Research Centre in Berkshire recently to launch the project. 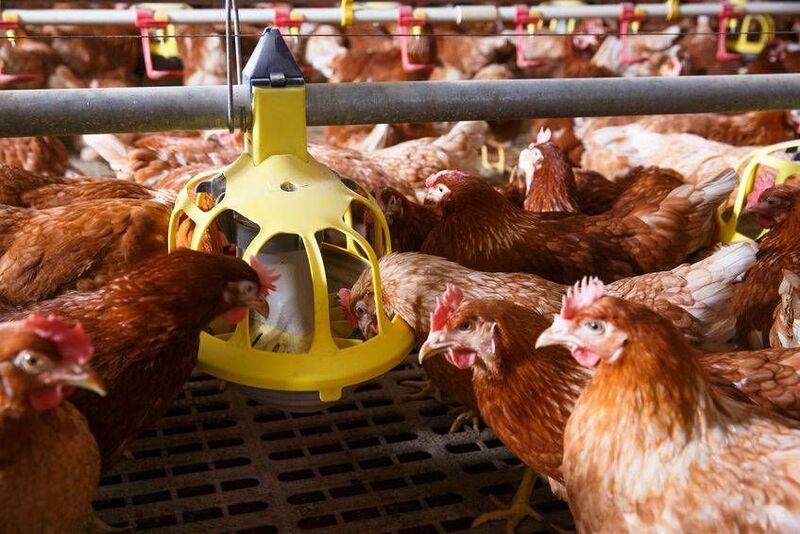 The project called 'OK-Net EcoFeed' was largely triggered by the potential end of an EU derogation, which currently allows the use of 5% non-organic protein feed for pork and poultry. One important element of organic farming is that animals are fed with feed produced at or near the farm, however, this is difficult to achieve in large parts of Europe. Currently, feed for pigs and poultry is imported from regions far away from where animals are raised. Most often the market is reliant on imports from outside Europe, for example, China, India, Argentina, and the Ukraine, where unexpected yield losses can make it difficult for organic farmers to obtain animal feed. Organic pig and poultry farmers frequently suffer from difficulties in sourcing protein feed of organic quality. This growth is particularly challenging for organic pig and poultry producers, who, to comply with EU regulations as well as maintaining consumer confidence , will in future need to source organic feed that is produced at or near the producers farm. The aim of OK-Net EcoFeed is to help farmers achieve 100% use of organic feed at local and regional level. Dr Bruce Pearce, Deputy Director at the Organic Research Centre and one of the project partners said: “As well as working with farmers we will investigate how we can marry up producers with UK growers of organic feed such as Lucerne and other protein crops, maize and cereals.